John's main areas of research focus on macroeconomics, political economy and methodology, with a specific interest in the processes of economic globalisation and their policy consequences. He obtained a PhD in Economics from the University of Nottingham in 1993 and has been a senior lecturer at the University of Sheffield since 2006. Jonathan graduated from the University of Cambridge in 1985 and obtained a PhD in Economics from the University of Nottingham in 1993. He was then an Economics Research Officer at the Open University on the Globalisation and the Advanced Industrial State project from 1993 to 1995. He was appointed as Baring Fellow in Political Economy at the University of Sheffield in 1995 and then as a Lecturer in Economics since 1999. He was promoted to Senior Lecturer in 2006. Jonathan is convenor of the Post-Keynesian Economics Study Group, a member of the College of Reviewers for the Canada Research Chairs Program and a member of the Stirling Centre for Economic Methodology. 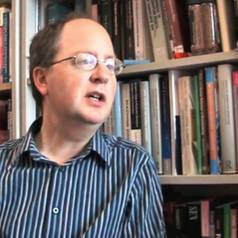 Previously he was also Deputy Director of the Political Economy Research Centre at the University of Sheffield.